ClubCoin Gereken: 45 Please note that, for now, you cannot download content from our platform directly onto a mobile device (phone, iPod, iPad, tablets...). You need to download your items onto a PC or Mac, and then transfer them onto your device in the normal way. We are working on allowing direct downloads to mobile devices but this is not possible in the current version of the platform. Sorry about the inconvenience! 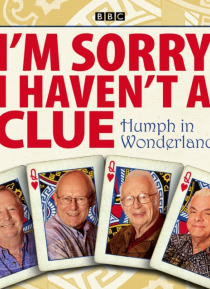 Humph in Wonderland stars chairman Humphrey Lyttelton in the title role, with Tony Hawks as the Narrator, Sandi Toksvig as the Queen of Hearts, Tim Brooke-Taylor as the Duchess, Graeme Garden as the Cook and Barry Cryer as Humpty Dumpty. Andy Hamilton also features as the Caterpillar, with Rob Brydon as the Mad Hatter, Jeremy Hardy as the March Hare, Jack Dee as the Cheshire Cat and Colin Sell as… the White Rabbit. Among the fun and games are: 'Mornington Crescent', 'Swanee Kazoo', 'Cheddar Gorge', new definitions for the 'Uxbridge English Dictionary', as well as 'Recipes for Nigella Lawson's Saucy Mouthfuls' (she makes a great sticky tart). Including 20 minutes of bonus material not heard on transmission, this thoroughly daft take on Lewis Carroll is also a fitting tribute to the late, and much-missed, Humphrey Lyttelton.